Porta Endure is a beautiful and high-performing exterior timber cladding, created by combining durable Porta Cumaru hardwood with an engineered design. Endure is the result of extensive research and development. 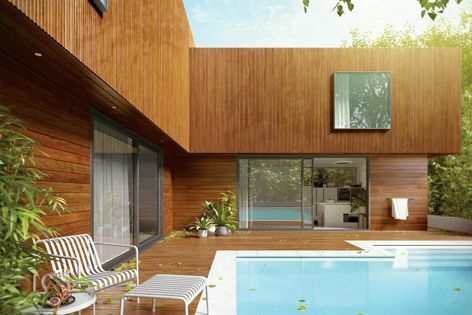 From small details such as protective rounded corners and angled drainage recesses to features including the extended overlap and robust tongue, Porta Endure has been designed to outperform traditional cladding profiles.